Is a group tour for you? You've decided where you want to go on your vacation. Time to move to the next step of your trip planning. Now you need to come to grips with how you're going to get your hotels, get around, see the sights. 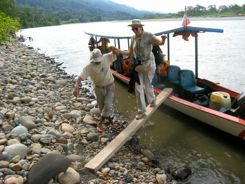 Do you want to join a group tour or be an independent traveler. ...and you may want someone with you who knows the territory. Other destinations easily lend them selves to independent travel. You need to decide how much of the trip you want taken care of for you. Your hotels will be taken care of, as will your transportation during the tour. Depending on the package, most meals will probably be taken care of too, so you won't be looking for a restaurant all that often. Air fare to and from your destination may or may not be included. All of this can make it easy on you for trip planning; you don't need to worry about making reservations or finding hotels and restaurants on the road. You don't need to worry about that foreign language, though that is truthfully not usually a problem. You will be traveling with a group of people. To be perfectly honest, the tours we have taken have been small group tours... custom tours in fact, with just four or six of us traveling. 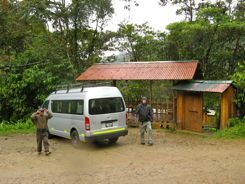 You may have read about one or two of those trips on our custom tour planning pages. If group size is important to you, be sure to check on just what the group size will before you book the tour you're interested in. Most tour operations call 10-12 people a small group. Depending on the operator and package, group size can range from that all the way up to a bus full of about 45 to 50 people. Large groups can make it fun, or it can slow things down as you're waiting for everyone to get up in the morning and get on the bus. You'll probably see all the highlights, but you won't be able to get into small venues that can't accommodate big groups. You'll have your group to interact with. 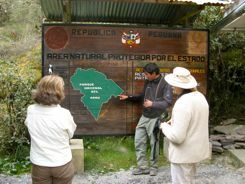 Some group tours introduce you to locals or even get you into ceremonies or places that independent travelers don't have access to. Guides who can teach you about the area. That's something that independent travelers might miss. We've had great guides when we have arranged tours... they do add something. Tours can be an economical way to travel. Tour operators get good prices on hotels and transportation. But if you want to sleep in and the tour is moving on... you'll just have to get up and get going. You might learn things you wouldn't have learned otherwise.... and if you're a first time traveler, one of the things you might learn is that you don't need a group tour. Sometimes that first tour group experience is more than worth it... it can give you the confidence to travel independently. Just find more of their tours that you like, and you'll soon be traveling the world.